He completed a Arabic degree program and graduated with honours in 2006. This course primarily focused on the Arabic language, Arabic grammar, Islamic history, theology and other subjects. He spent his spare time studying with Sheikh Sa'ad Al-Attas the following subjects: Tajweed, Aquida Tahawiyyah, Shammail At-Tirmidhi, the forty hadith of Imam Al-Nawawi, Hadith methology, Shifa of Qadi Iyyad, Ajurmiyyah, history of four Madhabs, Tafsir of Surah Mulk and Yaseen as well as completing the texts Medina Arabic course. He travelled to Morocco where he completed three levels of Arabic in Fez during his degree. He has studied briefly in Egypt and Syria. After graduating he studied with Sheikh Atabek Shukurov Al-Nasafi. 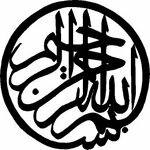 Under his tutelage the following texts were studied: Muqadimmah/The Initiation by Abu Laith As-Samarqandi and its commentary Qatrat Al-Ghayth/Commentary on the Initiation, Mukhatsir Al-Quduri (twice), Munyat Al-Musali, Tuhfat Al-Muluk of Imam Razi, Ikhtyar, parts of Hidayyah, Nukhbah Al-Fikir of Ibn Hajr, Hanafi Usul Al-Hadith, Ajurmiyyah, Hidayah Al-Nahu, Prophetic Sirah, Aquida Tahawiyyah, Dow Al-Ma’ali sharh ala bada Al-Imali, parts of Miskat Al-Masbih, Nur Al-Idah, Usul Al-Fiqh, Aquida Nasafi, Usul Bazadawi, Qawaid of Kharki, Aquida Ab-Dudidiyyah, Differences Maturidi and Ashari, Wasiyah Abu Hanafi, Bahr Al-Kalam, Fiqh Al-Akbar, Zad Al-Talibeen, As-Sullamul Munauraq fi Ilm al Mantiq by Abdur Rahman ibn As-Sagheer Al Akhdai, Al-Arjuzah by Ibn Sina, as well as parts of other works. This was over an eight year period from 2006 to 2014. 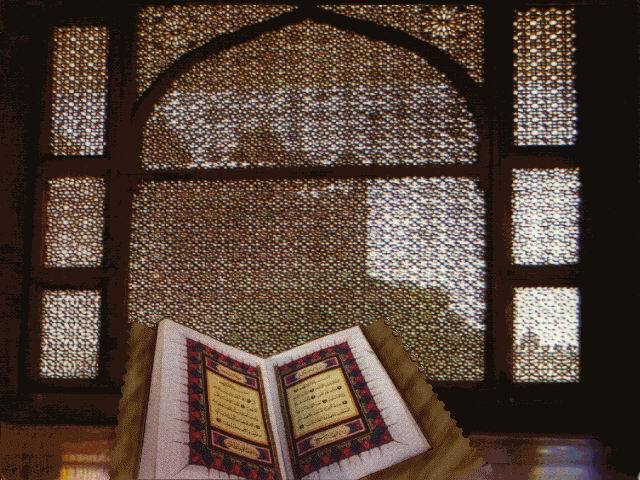 He has also completed the following under other teachers and Deen intensives that he has attended: Shammail At-Tirmidhi, forty hadith on dhikr, the wisdoms of Imam As-Shadhali and secrets of the prayer of Imam Al-Ghazali with Sheikh Muhammad Al-Yaqoubi as well as other short texts, Aquida Al-Ja’azri with Sheikh Gibril Haddad, Jawhar Al-Taweed with Sheikh Muhammad Naveed Jameel from Nottingham, as well as many other works from other teachers. He has also been active in the field of Arabic to English translation by completing the following works: The Initiation by Abu Laith As-Samarqandi and its commentary Qatrat Al-Ghayth/Commentary on the Initiation, Towards understanding Hadith by Sheikh Atabek Shukurov, Description of the strangers by Ibn Rajab, What no eye has seen by Sheikh Muhammad ‘Alawi Al-Makki, Endless Nobility of Ahl Al-Bayt by Sheikh Yusuf Al-Nabahani, 40 hadith on salawat by Imam Uqlishi, Ibn Daqiq Al-'Id commentary of forty hadith Imam Nawawi, 40 hadith collections on Prophetic miracles, Prayer, Fasting, Zakah, Sunnah and innovation, all by Sheikh Yusuf Al-Nabahani, Seventeen benefits of Tribulation text by Izzuddin Abdussalam, 40 hadiths collection on Abu Bakr, Umar, Uthman and Ali (may Allah be pleased with them), Life of the Prophets in their graves by Imam Al-Suyuti, as well many other texts. In total, there are over one hundred and fifteen translations available on Kindle and scribd. He has been working on his blog Sheikhy Notes since 2005, which is a compilation of notes, videos and personal reflections. He has written over one hundred articles about different subjects since 2008. He attended and completed Hajj in 2010 in the blessed cities of Mecca and Medinah. In 2008, he was given verbal permission (ijazah) by Sheikh Atabek Shukurov to teach sacred knowledge. He has been teaching at various institutions and privately since then. As well as teaching the Arabic language since graduation. He has ten years of teaching experience. He has full authorisation to perform Hijamah/cupping after training for two years intermittently, from Sheikh Atabek. He also has permission to teach the books of tasawwuf, Hadith, Aquida, fiqh and so forth. In 2015 Sheikhy notes academy was founded from which he teaches and publishes books. The first was Barakah: how the companions sought blessings from relics. He continues to be active in the field of teaching, research and translation.